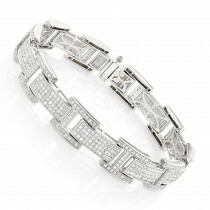 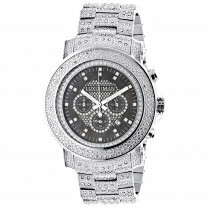 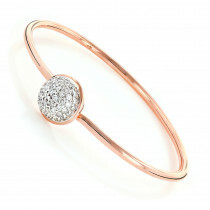 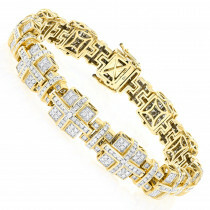 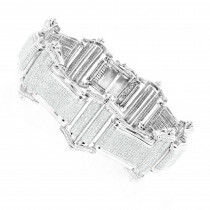 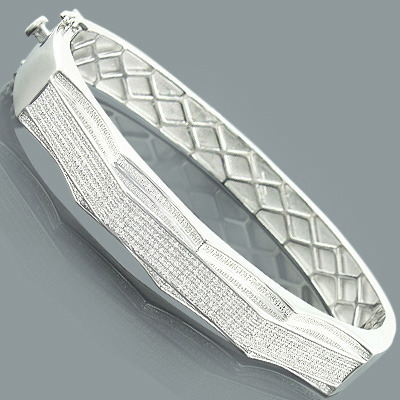 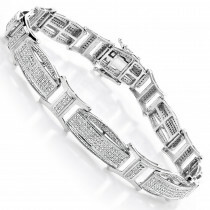 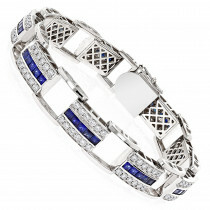 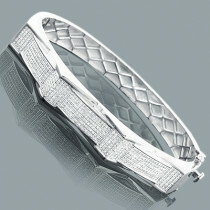 This Mens Diamond Bangle Bracelet in sterling silver weighs approximately 42 grams and showcases 1.2 carat of genuine diamonds. 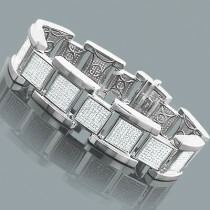 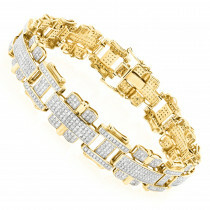 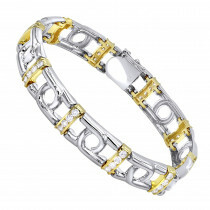 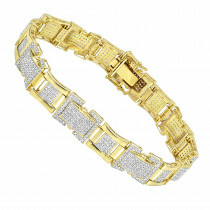 Featuring a trendy design and a luxurious rhodium plating for extra shine, this mens diamond bracelet is a great alternative to gold jewelry. 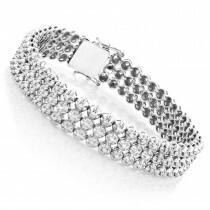 Q: Can this bracelet be sized smaller? 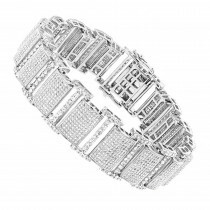 I have a small wrist. 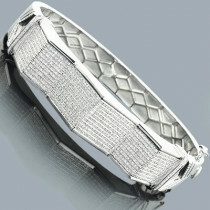 Im probably like a 6.5 in wrist. 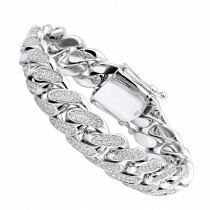 A: Yes, we can customize this bracelet in any size.